The recently restored and renovated H.J. 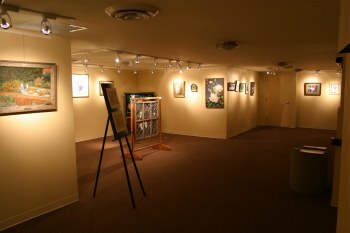 Ricks Centre for the Arts is the heart of downtown Greenfield's renaissance as an arts and cultural district. 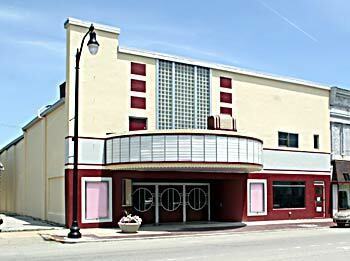 Originally a modern styled movie house, the centre first opened Nov. 1, 1946 as the Weil Theatre. It later became the Village Theatre and remained such until it's renovation and rebirth as the H.J. Ricks Centre on Sept. 19, 2006. 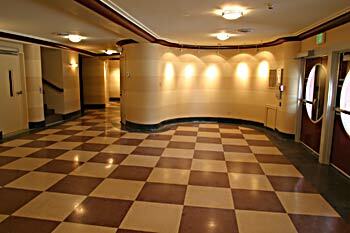 The restored lobby of the Ricks Centre reflects the facility's original Art Deco/Moderne architecture with its curved walls, plaster cove moldings and checkerboard terrazzo floors. 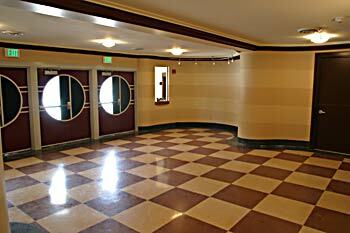 Another view of the lobby area, featuring the interior 'Will Call' ticket window and the 1940s style entrance doors, recreated from photos of the originals. 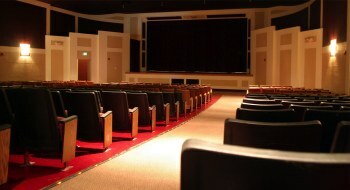 The Auditorium of the HJ Ricks Centre, features 386 seats plus four wheelchair areas and a newly restored and expanded stage area. Backstage there are two dressing rooms and a restroom for performers. The Auditorium is large enough for successful commercial events, yet small enough to maintain an intimate feel for every patron. 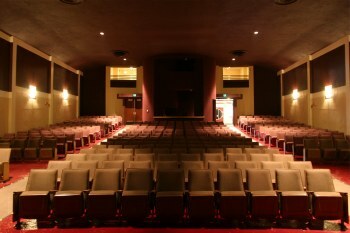 A view from the Auditorium Stage, looking into the seating area, the 'Silo' tech center and the second floor open windows into the Gallery area. Even from the rear of the hall's raked floor, Ricks Centre patrons have a clear view of staged events and 100 percent sound coverage. There are literally no "bad" seats in the house.